Poggle is a most enchantingly funny dragon who lives in a small blue hut overlooking the sea. It's snug and cozy and full of his favorite things. Today, Poggle and his friend, Henry, are searching for the perfect birthday present. But what they find isn't quite what they were expecting. 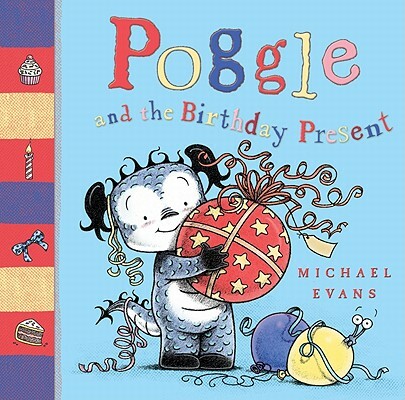 A gorgeous picture book written with delightful humor and truly memorable characters, Poggle is perfect for toddlers with his well-observed, child-friendly adventure bursting from the seams of this story. Exploring a warm and comical friendship, not to mention exploring a warm and sandy beach, this story bounces its way to an exciting discovery. Drawn with a soft graphite line and lightly-brushed cover wash, Poggle is sure to have a wide appeal across the picture book audience.